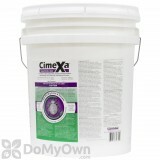 CimeXa Insecticide Dust is the newest product available in the battle against bed bugs, fleas, ticks and other insects. CimeXa Dust is 100% Silica dust, is very safe, odorless, and will not stain. CimeXa Dust will last up to 10 years when applied to undisturbed areas like wall voids. 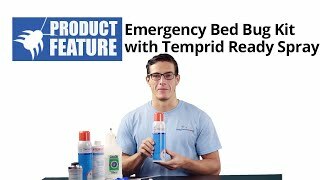 It is very effective on bed bugs, fleas, and especially pyrethroid resistant bed bugs. It will work on ants, roaches, firebrats, silverfish, spiders, mites, lice, stored product/pantry/fabric/clothes beetles, moths and drywood termites. When pests come into contact with CimeXa, the product clings to their exoskeleton and absorbs the waxy coating, causing death from dehydration. 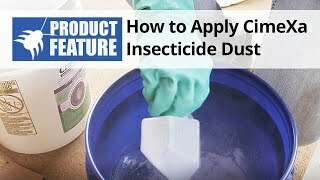 CimeXa Insecticide Dust is a long-lasting dust that controls a variety of insects such as ants, bed bugs, roaches, silverfish, and spiders. It can be applied during new construction as a liquid application - and can last up to 10 years. New construction is a great time to apply various preventative pest control treatments to a home or building while the walls are exposed. CimeXa Insecticide Dust, a long-lasting dust that controls a variety of insects including ants, bed bugs, roaches, silverfish, and spiders, is one preventative pest control treatment that can be applied during new construction. CimeXa is typically applied post-construction as a dry dust into cracks, crevices, and voids around the home. But when mixed with water, it can be applied more easily by being sprayed directly onto the exposed exterior walls and interior studs of a building during construction. The water mixture will help the dust stick to the wall for a more efficient barrier. 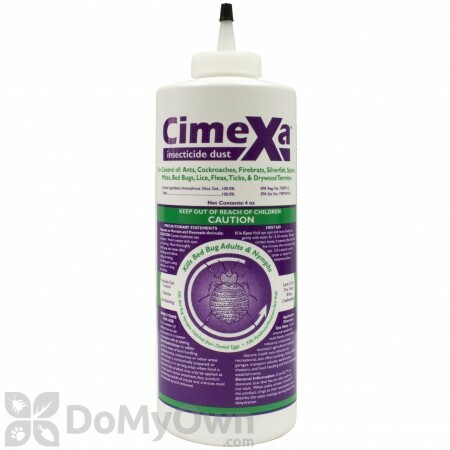 To create a liquid application of CimeXa, slowly add CimeXa dust to a gallon of water in a clean bucket using a scoop or plastic cup that will not be used for drinking. After each scoop, use a drill with a mixer attachment to thoroughly mix the dust and water together. Continue adding scoops of CimeXa to the water until the mixture is not thin and runny but is not so thick that it will not flow through your sprayer. You can add up to 1 pound of CimeXa dust to 1 gallon of water. Pour the mixture into your sprayer and replace the cap. The mixture can then be sprayed on the inside of walls that form the exterior of a home or building but not on the actual exterior of the building itself. Spray an even coat of the dust and water solution onto the exposed exterior walls of attics, crawlspaces, and new construction. Spray enough so that the wall is wet but not so much that the solution is dripping or running down the wall. Do not spray on walls finished with drywall or plaster. If you would prefer, you can make a thicker mix and paint the mixture on the walls with brushes and rollers. You can apply up to 1 quart of slurry per 250 square feet. After you have finished spraying the walls, thoroughly clean your sprayer by triple rinsing with water before any other use. Do not leave the solution in the sprayer as it will turn into a thick gel that will be extremely difficult to remove. Allow the walls to dry before applying insulation or drywall. Once dry, the insecticide dust will create a long-lasting kill to insects that manage to crawl into the home. The dust can last up to 10 years when it is undisturbed. Make sure to read the full product label carefully to safely and effectively apply CimeXa Insecticide Dust. And it’s that easy with the expert help from DoMyOwn dot com. Subscribe to our channel for more DIY and product videos. CimeXa Insecticide Dust contains 100% natural silica gel which kills insects by contact. When insects pick up the dust on the exoskeleton, it clings to and absorbs the waxy coating, causing dehydration and eventual death. CimeXa is best applied with a duster to avoid over-application. Because of its mode of action, CimeXa Dust takes longer to kill target pests. However, the natural ingredient has no properties that cause it to change or break down, so the dust is effective for at least 10 years when applied in undisturbed areas. Ants, Crazy Ants, Cockroaches, Firebrats, Silverfish, Spiders, Mites, Bed Bugs, Lice, Fleas, Ticks, and Drywood Termites. Ants, Cockroaches, Firebrats, Silverfish, Spiders, Mites, Bed Bugs, Lice, Fleas, Ticks, Drywood Termites. Kills Bed Bug Adults and Nymphs Kills Bed Bug Nymphs Hatched from Dusted Eggs kills Pyrethroid-Resistant Bed Bugs. CimeXa Insecticide Dust can be used in place of other similar insecticide dusts and used in voids, cracks and crevices for most common crawling insect pests. Because of its stability, CimeXa Dust is ideal for tedious or time-consuming dusting treatments, such as treatments of wall voids or attic spaces. CimeXa Dust is also an excellent dust for bed bug treatments because there is no known resistance to it. CimeXa Dust is completely natural, making it preferable for use in sensitive accounts or locations. Apply at a rate of 2 ounces per 100 square feet. Use a handheld bellows, bulb, or puffer bottle type duster to apply a light, visible film. A power duster may also be used. Power duster use is limited to cracks, crevices, voids, attics and crawlspaces to insure containment of dust particles. Focus on areas where insects or their signs are seen. CimeXa Dust may also be used as a spray, paint-on application, or foam. Combine 1 lb of product per gal. of water. Apply approximately 1 qt. of solution per 250 square feet of area to be treated. For injection treatment, add the appropriate amount of foaming agent to the product/water slurry and inject directly into galleries and voids. A 4 oz. bottle covers approximately 200 square feet. A 5 lb. pail covers approximately 4,000-5,000 square feet. In and around residential, multi-family, commercial, industrial, institutional, municipal, agricultural, research, daycare, health care, educational, recreational, and office buildings, hotels, motels, garages, transport vehicles, warehouses, theaters, food handling and food processing establishments, Federally inspected meat and poultry plants. In attics, be sure to get dust near the eaves and vent pipes where insects often first enter, as well as around any pipes or potential access points between the attic and the main structure. The bottom drawers in kitchen and bathroom cabinets can be removed and dust applied into drawer wells. No dust should be left exposed when drawers are replaced. Cimexa Bed Bug Treatment: Remove bedding and take the bed apart. Treat the interior framework, joints and cracks in the bed frame. Treat the mattress and box spring, paying particular attention to tufts, folds and edges, and the interior framework of the box spring. Remove wall-mounted headboards and treat the back side. Treat picture frames, moldings, hollow furniture legs, cracks and crevices, along baseboards, and any areas with visible signs of infestation, including rugs and carpet. Treat upholstered furniture by removing or lifting (if possible) the cushions and treating the undersurface. Treat the interior framework, cracks and joints of the furniture, and the folds, tufts and edges of cushions and other upholstered areas. Do not treat toys and stuffed animals with product. Treat wall voids by removing electrical switch plate covers to allow access, but don’t apply dust directly in electrical boxes. Apply about ¼ oz of dust to each accessible void. 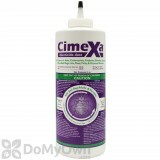 Cimexa for Flea Control: Apply at a rate of 2 ounces per 100 square feet. Treat kennels, pet bedding/rest areas, floor and floor coverings (such as carpets), cracks behind molding and baseboards and other areas where pests may harbor. Apply as a light film or light coating over the target surfaces. CimeXa Dust is not intended for outdoor use. 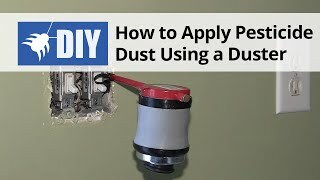 Dust is best applied with a hand duster. In food areas, only apply dust in cracks, crevices, and other inaccessible areas. Any dust that is left visible after treatment should be removed and the exposed surface washed. Insects need moisture, so kitchen and bath areas and areas immediately surrounding them, and any other damp areas should be carefully inspected and treated if necessary. I have bedbugs and I live in an aparment that has carpet. Do bedbug live in or under carpet? Does carpet need treatment? What spay should be used on carpet? Bedbugs will hide wherever there are places for them to hide. In most situations you will not be required to spray all of the carpet for bedbugs because bedbugs will not sit out in the middle of the carpet. Usually you will concentrate your treatments up under the lip of the carpet. A dust insecticide such as Cimexa Dust would be a great choice because it stays active for a every long time. Can CimeXa be used together with Diatomaceous Earth? Yes, these two dust are completely compatible and can be used mixed together to provide extra control. Are there advantages to using CimeXa Insecticide Dust versus the Alpine dust? There are two main advantages. Cimexa is 100% Cilica, which is basically ground up sand. It is 100% natural and green. The other advantage is that in undisturbed areas CimeXa can last up to 10 years, whereas other dusts including Alpine will typically only last 1 or 2 years at the most. Although, Cimexa contains 100% natural silica gel, we still do not advice breathing it in. It could be harmful to you. You may want to consider wearing a Respirator mask when making your application. I have read to not have children around when applying Cimexa. I have not seen it addressed that children will ultimately be on the carpet or touching items/toys that have cimexa on it, breathing it, transferring to face etc. can you address residual for children? Children should not be allowed back in the area until the CimeXa Insecticide Dust has settled. You are normally applying it to cracks and crevices and wall voids. CimeXa Insecticide Dust should not be applied to kids toys or carpet where they may be putting the item in there mouths.